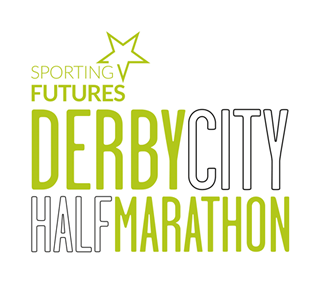 It’s the second running of the Derby City Half Marathon today which starts from Derby University. In my opinion it has a far better route than the better known Ramathon but pulls a fraction of the field, only 460 finishers today. This is mainly due, I think, to the fact that no one knows about it because it is barely advertised compared with the heavily promoted Ramathon. The route has had a few tweaks since last year presumably to ease the traffic congestion. 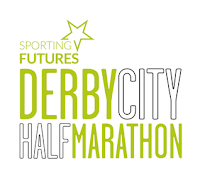 The first part is again a lap of Markeaton Park before heading through the city centre which is followed by a long drag through Pride Park to get to Alvaston Park then a long drag back along the river. There was a definite attempt to keep us off the roads this year and this meant a surprise section on grass through Darley Park. I will pack my trail shoes next time. Drinks seem to be short supply with the second drinks station at 6 miles and the third at 11 miles, which was a long time to go without a drink. They’d also left one poor bloke on his own to man it. The mile markers were a problem last year and they didn’t look any more accurate this year either. At mile 11 I appeared to be on course for a corking time of 1:38. The next mile which was all uphill out of Darley Park put paid to this as this mile took me nine minutes but that still left me on course to break 1:40. Sadly the last mile again seem to be super long despite being mostly downhill and I finished in a devastating 1:42:08. Probably not too devastating though as its two minutes quicker than last year. Onwards now to Leicester in two weeks’ time. Sadly I think they gave me the same medal as last year, the t-shirt was quite good though. While I’m running, a work colleague tries for Glastonbury tickets on our behalf as I couldn’t have a go with the race and ticket sale both happening at 9am. My expectations are at about the same level for Glastonbury tickets as they are for me winning the race. Needless to say, he doesn't get any. There's no festival in 2018 so it's a long wait until the next one. We head out to Caning Circus later. We visit the Falcon again, got to the H&H for food before then visiting the Blue Monkey and the Borlase.